I realise black pudding isn't for everyone, but if you're a fan, this simple open sarny will go down a treat. Heat the olive oil in a frying pan over a medium heat. Add the fennel seeds and cook for about 30 seconds, until fragrant, then add the black puddings and fry for about 3-4 minutes on either side. Bring a pan of water to the boil. Add the peas and a pinch of sea salt. Reduce heat and simmer for about 5 minutes. Drain the water from the peas and combine with the butter and chopped mint in the pan. Use a stick blender to roughly puree the mixture for a few seconds and season to taste. each slice. 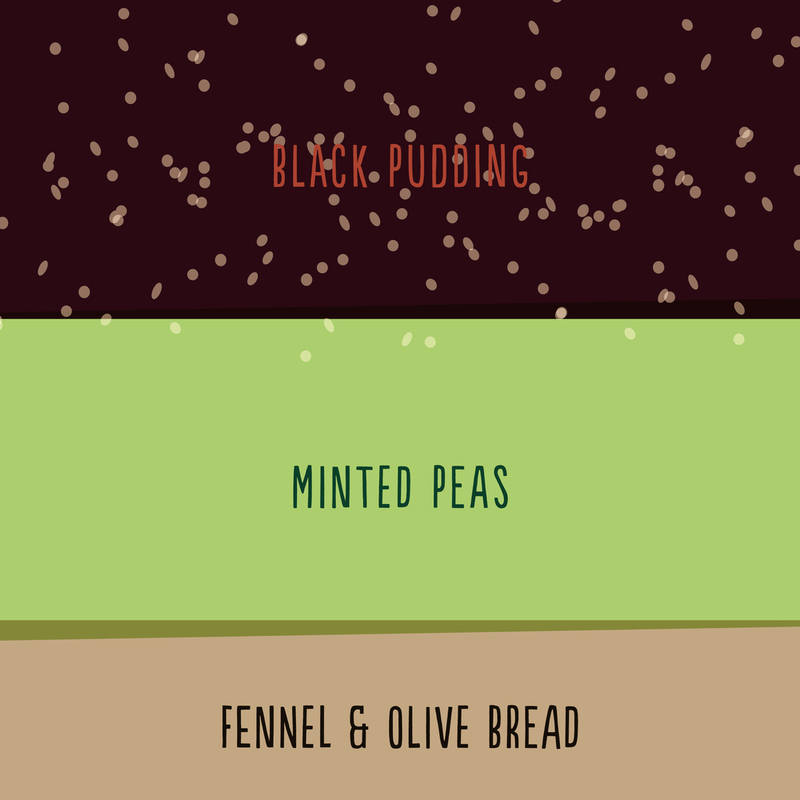 Spread the peas over the toast and top with black pudding. Be sure to check back next Sunday for your weekly sandwich fix.